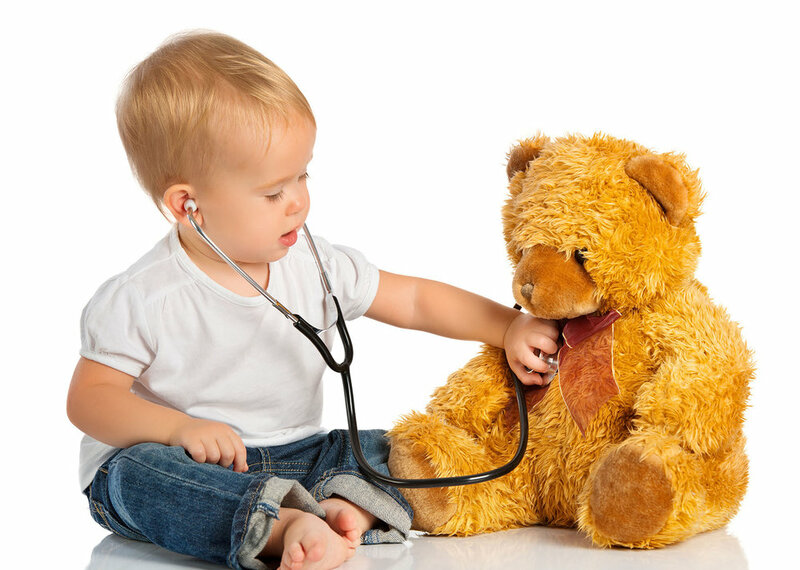 Who you select as a pediatrician is a very important decision. The birthing process itself will be much less stressful if you know that your baby has someone waiting to oversee her health and well-being starting at birth. I encourage expecting parents to come in and meet me for a prenatal consultation. It means a lot for parents to get the right energy or “vibe” from the doctor, the staff and the office. You will need to know that you won’t have to wait too long, especially with your newborn, and that your phone calls will be returned quickly, whether it’s 3 p.m. or 3 a.m. And you won’t want to feel rushed, especially during those first few visits. I expect and encourage parents to bring a long list of questions. With a cardiothoracic surgeon, bedside manner may not be as important. But your pediatrician needs to be someone who is empathetic, nurturing, patient and kind. He needs to understand that there is no such thing as a bad question, and that he should be available for you by phone or in person whenever you are concerned. Moreover, you want to make sure your pediatrician is well-versed in all of the common topics that come up in early childhood. From the very beginning you’ll welcome support in nursing – achieving that correct latch, checking for tongue-tie, and avoiding thrush. You’ll want to know that your pediatrician has read all the books out there, as well as seen thousands of newborns. Being a Brooklyn parent is very stressful nowadays! You’ll want a pediatrician who will help you keep everything in perspective, while providing guidance and direction as needed for nutrition, vaccinations and, of course, sleep. I spent hours upon hours writing this website, updating my advice, and sharing my experience and knowledge. I want you to know all that I know! But I must also be open and admit that it is my opinion that doctors should not tell parents how to parent or what they must do when it comes to a parenting decision. I respect the individuality of both children and families too much to be a paternalistic physician. I find the vast majority of my parents appreciate that. But there are times that a parents feels like they may want to discuss in more detail the proper nap schedule for a 3 month old, or what time the second meal should be in a 7 month old, or perhaps whether it’s best for a toddler to attend daycare versus having a nanny, and I never want to disappoint or let down a family that I am working with. I do offer a lot of guidance, and I write hours worth of advice on sleep and other hot topics, but I will end up shifting those decisions back to my parents, and hopefully that will feel empowering for you and not that I am letting you down. While most children are generally healthy and get over their fevers and bruises on their own, it’s important to have someone who is there for you, just in case. As a parent, you’ll face both minor and major obstacles. In the first week of your baby’s life, you might see a little weight loss or even jaundice. You’ll want your pediatrician to guide you, educate you and reassure you. At some point, you will encounter the first fever, and in that moment it may seem like a true emergency. Your child is burning up, looking lethargic and not acting like herself. Each fever is a unique challenge, and while most can be attributed to stubborn but harmless viruses, your pediatrician is the person who will be able to tell you if it’s actually something more serious, such as a urinary tract infection, appendicitis or Kawasaki’s disease. So while we all aim to be “non-interventionists,” you need to know that when intervention is necessary, you are in good hands. Of course you won’t want unnecessary blood tests, x-rays or antibiotics, but there are times when doctors need to rule out diseases that could be serious. So whether it’s a rash, a mild heart murmur or even something that has already come up on the prenatal sonogram, you need to make sure you are working with a seasoned and balanced physician. It is therefore crucial that you find out if your doctor is a well-trained, experienced and hard-working professional. It is actually very important where a doctor received his training, as a residency in a top academic institution allows for exposure to a true diversity in patients and diseases, as well as guidance from top experts in the sub-specialty fields, including development, cardiology and dermatology, among others. Click here to learn more about my education and experience. And experience really does matter in this case. We all have to start somewhere, but when it comes to giving advice on pediatric topics or treating a sick child, you want someone with plenty of experience under his belt. Each year I see about 5,000 new patients, and after 22 years, that’s over 100,000 child-parent-doctor interactions. Doctors are always learning because each child is different, but it’s experience that allows a doctor to take a balanced approach while making a diagnosis quickly and efficiently. As a new parent, you’ll want to work with a friendly and efficient office staff. When you call, you’ll want to get an answer back the same day and know that there are open slots for same-day sick visits. Adults can sometimes wait – children often can’t! Extended weekday and weekend hours can be a huge plus. You want there to be a good plan for after-hours care and know where to go just in case there is an emergency in the middle of the night. All well visits are booked with your main pediatrician, so you will get to know your pediatrician very well over the next few years – ideally until your kids are done with college! Your goal is to find a pediatrician who is available most days of the week, and you’ll want to make sure that the other pediatricians in the group are also amazing doctors, just in case you ever need to meet with them instead. The nurses and support staff must be courteous, friendly and, above all, efficient. You’ll have forms for school, quick questions on medicine doses, and requests for same-day appointments, and the office staff should provide excellent customer service – something that wasn’t always emphasized in the old days of healthcare. There are so many “hot” pediatric topics, from allergies to starting solids to asthma and beyond. I think it’s important that your pediatrician has “been there and back,” with many years under his belt. It’s important for you to feel that your pediatrician respects your values and judgment, and views you as a member of the team. Concerning antibiotics, I prefer the body to heal itself naturally. So when there is a viral illness, even with a high fever, I prefer providing symptomatic relief to your child and avoiding antibiotics. But there are some very strong and powerful germs out there, and babies can suffer or even die from bacterial meningitis, pneumonia or urinary tract infections. So if the situation requires it, I will strongly recommend giving your child antibiotics. Along those lines, we need to realize that vaccines are a major method of disease prevention and have been enormously successful in reducing and even eliminating diseases. I understand completely the concerns that parents have regarding possible side effects or links to other conditions such as autism. But when you look at the double-blinded studies involving kids who did and didn’t receive vaccinations, there just isn’t any link to autism, and vaccines are definitely the lesser of two evils. Read more about vaccinations here. I encourage parents to become informed consumers and active participants in their child’s healthcare, but it’s also important to seek out reliable sources of information. Nowadays the Internet gives patients free rein and fast answers, but there is a lot of misinformation out there. I prefer the old-fashioned advice when it comes to behavioral approaches, such as the books of the original Dr. Spock or the older Dr. Sears. I love Terry Brazelton’s approach to development and his model of touch points. It is ok to incorporate methods or themes from popular books, such as “elimination-communication,” “baby-led weaning” and “no-cry sleep solutions.” But don’t just refer to page 96 when parenting – explore your heart and follow your own instincts. Of course you should follow your child’s development closely, but you should also try to enjoy the ride. Don’t over-stress or overthink this parenting thing – I promise you’re going to be great! And if you do hit an obstacle, we’ll get through it together! I look forward to meeting your baby!